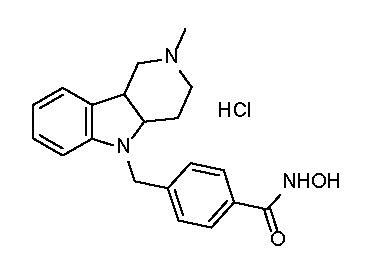 Tubastatin A is a potent and selective histone deacetylase 6 (HDAC6) inhibitor, IC50=15 nM (>1000-fold selective against other HDACs and 60-fold for HDAC8). Inhibits TNFa (IC50=272 nM) and IL-6 (IC50=712 nM) in LPS-stimulated human macrophages and displays anti-inflammatory activity in animal models. Improves survival in animal models of sepsis. Improves cognition in Alzheimers disease transgenic mice. Cell permeable. Storage: Store as supplied at -20°C for up to 2 years. Store solutions at -20°C for up to 3 months.